This recipe was composed by hacking together a few recipes on the internet based on what I had in the house. The most useful one was the one on yahoo answers! The initial inspiration was my sister giving me a big bag of meat including a gammon, and suggesting that I tried cooking it in soup which is what my dad does. My dad was travelling when I called him so I decided just to make this up. It seemed to work OK.
Soak gammon in water overnight (not sure this was necessary with the good-quality gammon I had but it’s supposed to take the salt out which is probably a good thing for me as I am massively fussy about salt). Discard the water. Slice a large onion and chop 3 sticks of celery (people who actually like celery may want more). Cook in large pan with a little oil till onion is soft. 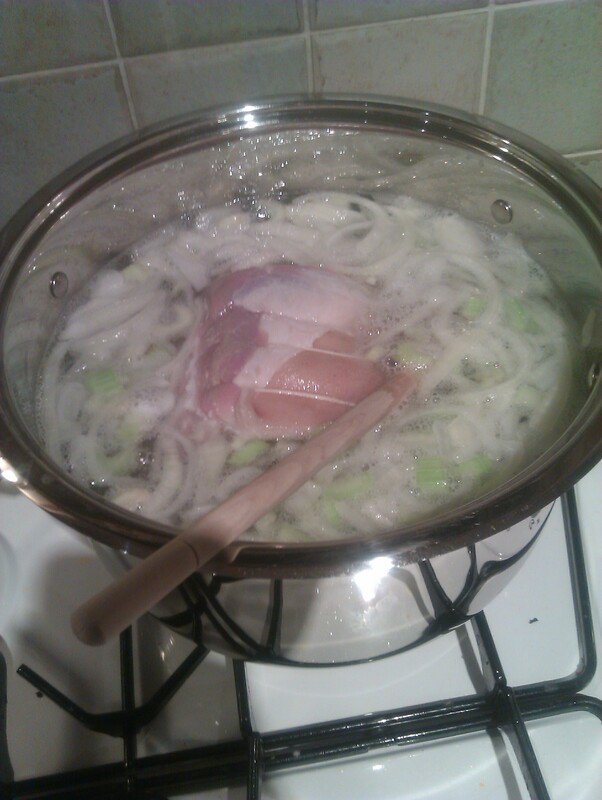 Add gammon (mine was 1kg) and add cold water till gammon just covered. 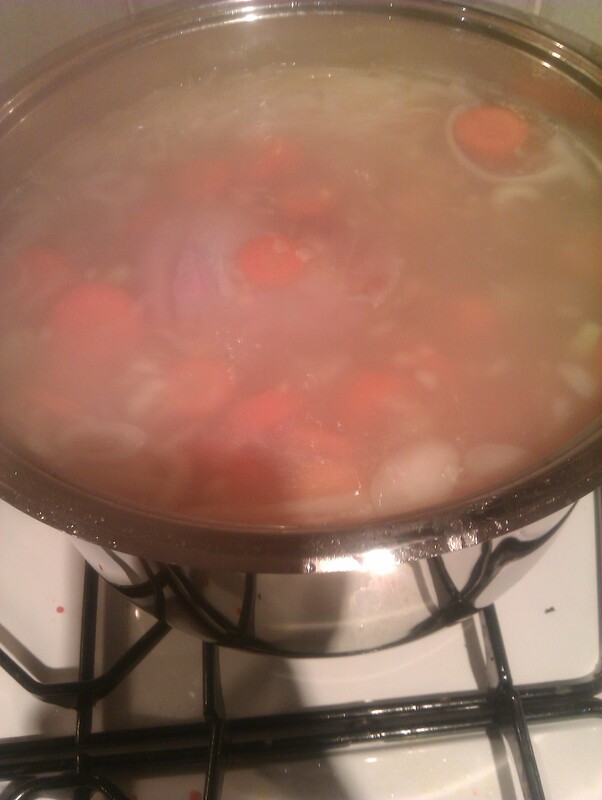 Bring to the boil then turn down to a simmer. Peel and slice 800g carrots (8 medium carrots) and add to pot (grated would probably be even better but I couldn’t be bothered). Add 200g of red lentils. Simmer for about an hour. Towards the end of this hour, preheat the oven to 200C/Gas Mark 5. Fish out the gammon and put in a roasting tin. Roast for 30 mins. Add a few peeled and chopped potatoes to the soup, along with a good amount of dried mixed herbs. Cook this for the 30 mins that the roast is in the oven. At the end the potatoes should be just starting to fall apart. Voila! A cooked gammon and a bonus soup! I tried it both blended and unblended: the best was unblended with a wee bit of the gammon chopped into it. 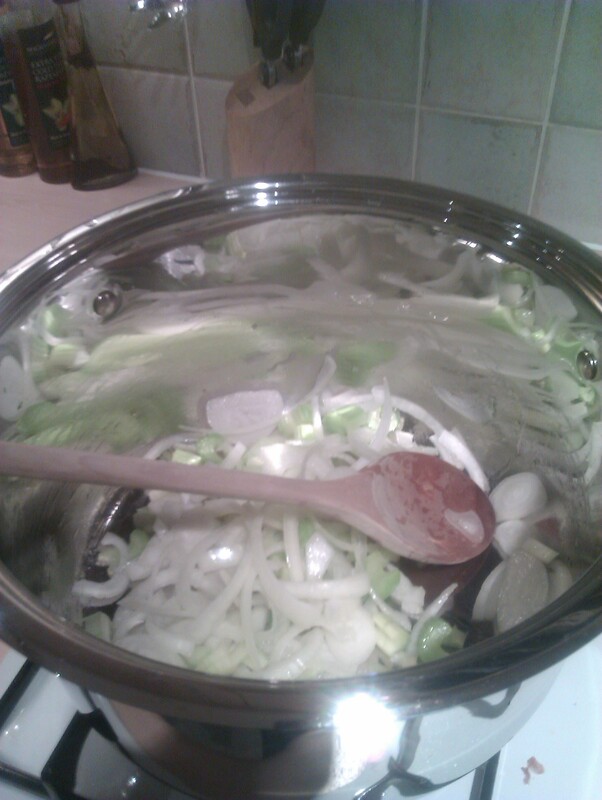 This entry was posted in Food and tagged cooking, food, gammon, gammon in soup, recipe, soup. Bookmark the permalink.